How does someone with a permanent physical disability carry a concealed weapon? How much more time does it take for them to draw and fire compared to someone without a physical disability? How can they avoid a confrontation if they cannot quickly extricate themselves from a dangerous location? What affect does having a physical disability have on your situational awareness? Do laws take into account a person’s physical disability if they are forced to use their weapon? A man is home in bed with his wife. The sound of breaking glass wakes him up. He lies there for a moment listening. Did he dream it or was it real? His wife is still asleep beside him. Then he hears it – the sound of the deadbolt unlocking and the slight squeak of a door hinge that he has been meaning to oil. He realizes that someone has just broken into his home. He wakes his wife up and tells her what’s happening. She grabs the phone and calls 911. He gets out of bed and into his wheelchair. He is paralyzed from the waist down from a car wreck. He gets his pistol and flashlight from the drawer of his night stand. His wife has been shooting a few times, but is not that familiar with guns. He is armed and ready, but his two children’s rooms are between him and the intruder. To get to their rooms he has to wheel himself out of his bedroom and down the hall to their rooms. He can’t simultaneously hold the pistol and the flash light and wheel himself into the hallway. Most people don’t think about the challenges that people with physical disabilities face when it comes to CCW and personal safety. 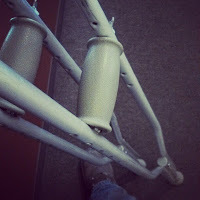 I think about it because a little over two years ago, I broke my left femur while walking. Believe me, I wish I had a great story to go with it but it was simply that I stepped wrong and broke it. The bone was brittle, and it shattered because of the radiation treatment I received when I had cancer. For a good story, remind me to tell you about the chainsaw incident. Anyway, I have been on crutches for two years, two months and counting. I recently acquired my concealed carry permit so all these questions have been on my mind along with figuring out how to best carry a concealed pistol while on crutches. The standard stuff just doesn’t work. I Googled “concealed carry”+”disability” a few weeks back and got a lot of links that I have not looked at yet. I wanted to be able to take you on this little jaunt into figuring all this out with me. So what do you think? Is it harder for someone with a physical disability to protect themselves and their families?